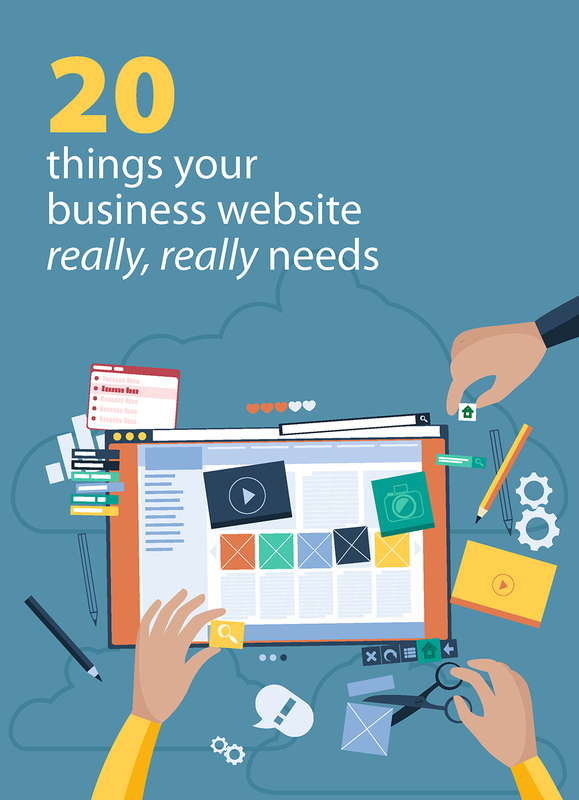 Your business website is more than just an online storefront for your company. Unless it’s pulling in visitors, keeping them and converting them to customers, it’s little more than a placeholder. A strategy – don’t just build a website and assume the job is done. Unless you know how it’s performing, how it fits into your overall SEO and marketing work, and how it ties in with what you’re doing on social media, it won’t be a sound return on investment. See your website as an ongoing proposition that you’ll develop over time. To look professional – it goes without saying that if your website doesn’t look inviting, people won’t stop and browse. Make sure your design is clean and friendly – if it’s too cluttered, people will think it’s just not worth the effort wading through it to find what they want. To always look nice, even when viewed on a mobile device – you might not surf the web on your phone or tablet, but up to 50% of your customers do. You can’t afford to alienate them. Google will also penalise you in its search results rankings if your website isn’t mobile-friendly. User-friendliness – your whizzy flash animations may look great to you, but if they take an age to load and prevent people from getting through to the core content, they’ll lose patience and leave. So use your bells and whistles with care, and only when they add to the user experience. Contact information – it’s amazing how many websites make it really difficult to find contact information, or even don’t make it clear what geographical area they serve. If you don’t make it easy for potential customers to get in touch, they won’t. Also, no address in your text means no search engine indexing for location, so local customers won’t find you. A search function – your navigation might be great but some users just prefer to search. Make sure you cater to them too. The top right-hand side of the page is where people will usually look for a search bar. Great content – getting people to your website is only half the battle. If you want them to stay, you need to offer them well-written and brilliantly designed content that will draw them in and keep them in. This will help your SEO rankings, as well as giving you a broader base of potential customers. Fresh content – great content isn’t enough. Give people a reason to keep coming back. Remember to update your blog regularly, add news items every few days, and so on. Content your customers want – it can be tempting to tell the world everything about your company, what they do, your history, your industry more generally and so on. Your users, on the other hand, just want to perform a task quickly and easily, whether that’s finding a plumber to fix their leaking tap or choosing a solicitor to write their wills. Don’t make them wade through reams of text to find what they want. Speak to your visitors, not your ego. Clear navigation – even if you’ve got lots of content on your website, it doesn’t have to be difficult to move around. Make sure your navigation and menus are clear and consistent. A call to action – what do you want people to do? If you want them to buy the product they’re viewing, make the “buy it now” button really prominent. If you want them to sign up to mailings, don’t hide the form at the bottom of a page. Make it as clear and easy as possible for people to do the thing you want them to do. ‘Trust signals’ – from accreditations to partner logos, from profiles on review websites to pictures of your team. These show you’re a real company that’s put time and effort into building a reputation. Keywords – pick the keywords you want to target for SEO and make sure they’re included in your site content. Don’t over-use them though – Google can spot it a mile off, and readers will also be turned off by keyword-stuffed text. Alt tags – make sure all your images have alt tags and keywords in the filename. This will help your SEO efforts. Meta descriptions for key pages – people will see these on Google search results, so it could help your click-through rates. Easy e-commerce and check-out – if you’re selling products online, don’t make people jump through hoops to buy them. Make the shopping process pleasant and checking out as simple as you can. Offering PayPal as a payment option can also lead to fewer abandoned sales, as your customers don’t have to hunt around for their credit card. Analytics – if you can’t see how people are coming to your website (via a Google search or typing in the address for example), how they’re using it while they’re there and how long they stay, you’ll never know how it’s performing. Use analytics to see what works and what doesn’t, and to develop your website accordingly. A secure hosting platform – might not seem important, but you need a secure and trusted host to keep your website running and the bad guys out. Getting hacked could cost you customers and your reputation. Reliable access – if your website is down, your customers won’t wait for you to get back online. They’ll simply go elsewhere. Make sure you choose a hosting company offering guarantees against downtime and 24/7 support.